1. We have 5 colors for your option. 2. Battery lasts up to 6-8 hours. 3. Max load is about 110kg. 4. 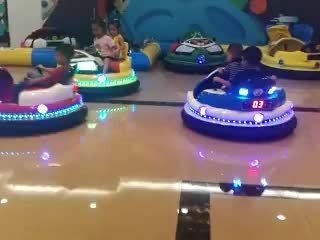 Has laser beam as weapon,shoot the laser on the recieving point of the other bumper car, The other party will be disciplined by vibration, whole body light alarm.